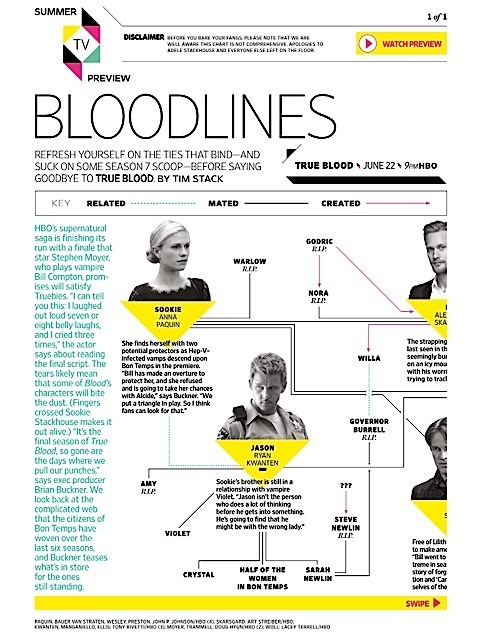 The new Entertainment Weekly magazine dated June 13 features a segment on True Blood. 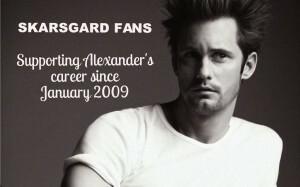 Alexander Skarsgard is shown for the True Blood ‘inside the final season’ segment. 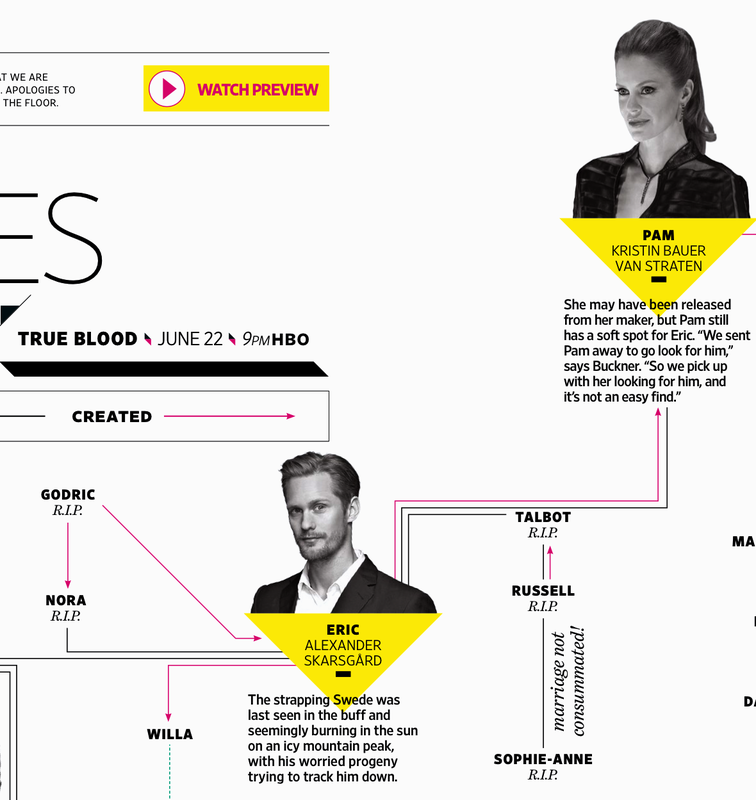 The article details the True Blood “bloodlines” and features a family chart showing their family trees. Fans have been told a few times that the final season will feature a return to season 1 with the Bill and Sookie storyline. 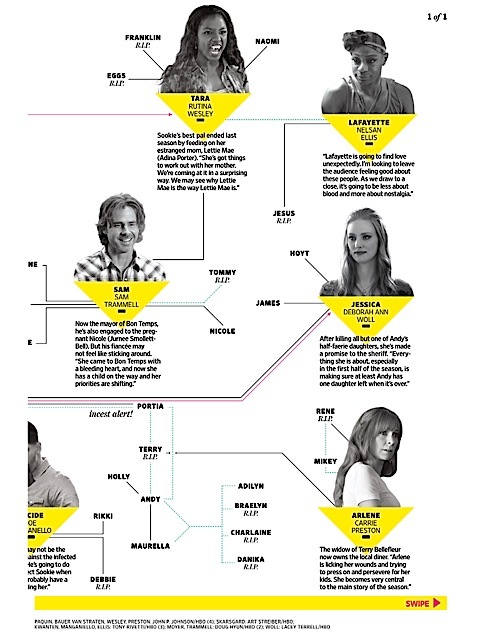 However when it comes to having fans interested in the magazine EW used a photo of Alex as Eric on the cover (what a surprise..not) No matter what happens in the final season I know many fans (including this fan) hope for a fantastic ending story for Pam and Eric. 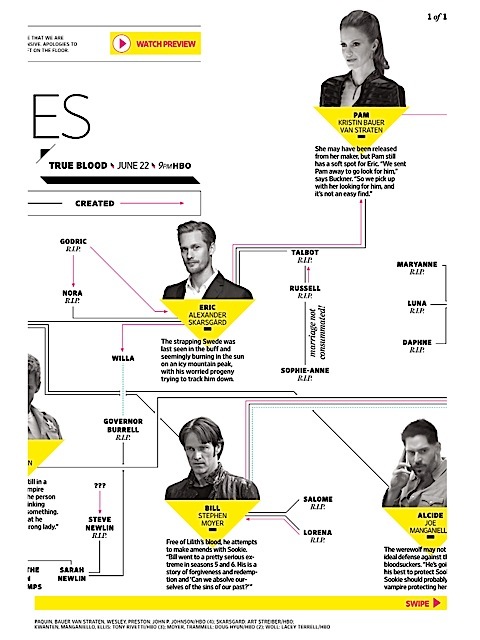 This entry was posted in News and tagged Alexander Skarsgard, Anna Paquin, Eric Northman, True Blood on June 5, 2014 by admin.